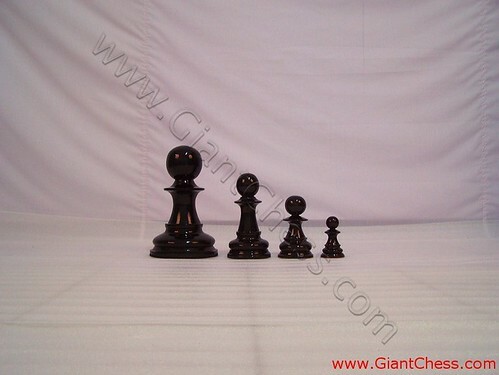 Those are the Pawn chess pieces which has designed and arranged in variety sizes. They have made from best quality of Teak wood and carved beautifuly by good craftsman. So unique and artistic when they arranged in a line. Perfect for home interior, office decoration, school decor, children room decor, and so on. On the other hand, you can also use it as gift for your friend and family. Your living room, reading room or even your office will look so elegance with Pawn pieces in variety sizes. The shape and color enable you to mix and match it with your contemporary furniture. Black Pawn pieces give the mood and climate of minimalist yet cozy atmosphere. Perfect for house decoration both for indoor and outdoor. Get the Pawn in other colors. Choose your favorite color and we can apply it for you. Order now!